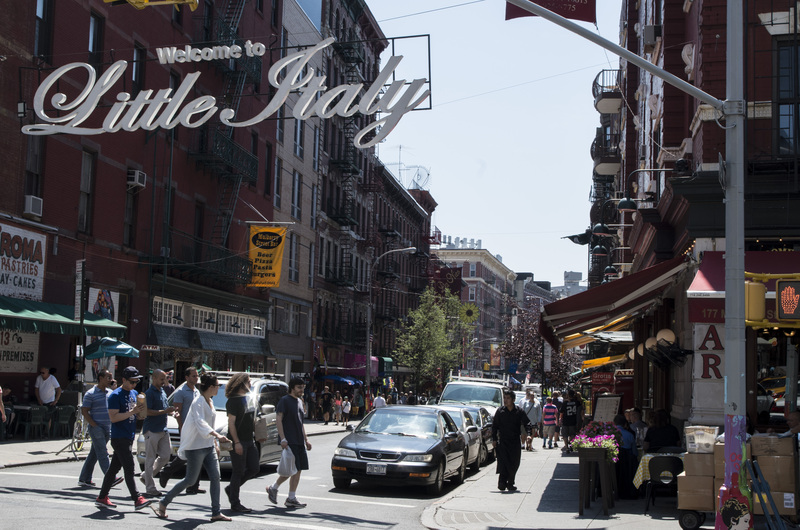 A center for urban tourism and Italian culture, Little Italy is filled with authentic shopping and delicious food. Beneath the walk-ups, lofts, and studios where the people of Little Italy reside, the streets of this neighborhood are teeming with a unique energy that you can only find in New York City. This vibrant community attracts both tourists and New Yorkers looking to taste the delicious meats and cheeses that can be found in the little markets that line the Little Italy Streets. As it continues to develop, so does the need for affordable moving and storage in this neighborhood. Thankfully, Zippy Shell is here to fill that void and provide the residents of Manhattan with New York City’s best moving and storage service. At Zippy Shell, we make moving and storing your belongings in Little Italy as easy as finding some delicious handmade pastas at the local markets. Our process is simple. First, our professional driver brings a Zippy Shell&apos;s portable moving and storage container right to your apartment or condo. From there, you can choose to load it yourself or have our team of experts do it for you. Since all of our units are 100% street legal, we never have an issue finding the most convenient place to park your shell. Even if the streets are flooded for the San Gennaro Street Festival, we’ll quickly find a suitable spot to place your mobile storage unit , saving you just enough time to run down and experience the festivities! Little Italy’s Best Moving and Storage! With those few simple steps, you’ll find yourself with a more spacious apartment, ready to relocate or store your stuff! Once loaded and ready, your Zippy Shell is brought our safe, secure, climate-controlled facility. Need your things stored for a day or two? No problem. How about a few months? We can do that too. However long you need, rest easy knowing that whenever you’re ready, we’ll bring your belongings right back to your front door! Affordable Mobile Storage in Little Italy! The very best part about Zippy Shellmoving and storage in Manhattan and Little Italy is that our safe, secure storage solution also doubles as the most affordable in the area! Give us a try. Fill out the free quote form, and let us show you how easy and affordable Zippy Shell can be!